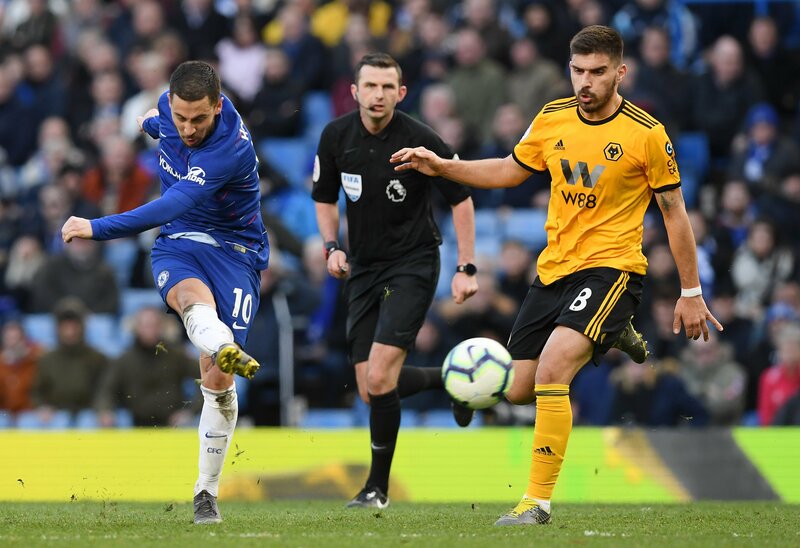 Hazard curled into the bottom corner in the second minute of added-time to deny Wanderers a memorable victory and ensure Chelsea remain unbeaten in the Premier League since their 6-0 thrashing at Manchester City last month. Maurizio Sarri’s future at the club had been brought into question following that defeat, but this point keeps the Blues well in contention for a top four place. Maurizio Sarri’s side improved after going behind, with Pedro having a shot tipped over before Higuain failed to convert when the ball flashed across the box following a corner.